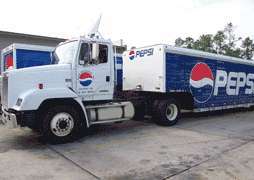 My father started using Gulf Coast Filters on our Pepsi fleet in 1975. 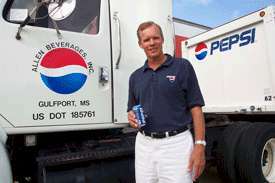 After his retirement I took over our business and am still using Gulf Coast Filters today. I am proud to say that our company was the first fleet outfitted with your filters and I highly recommend your product. Since we have just returned from a nine thousand mile trip in our American Eagle Motor Home, it seems a good time to report some of my findings about using Gulf Coast Bypass Oil Filters. I have been using and testing Gulf Coast Bypass Oil Filters since 1998 in five different diesel engines. I have conducted tests using both petroleum based and synthetic oil. All of the tests have been verified by laboratory analysis. In every case, the use of Gulf Coast Bypass Oil Filters has eliminated the need to drain the motor oil and refill with new oil. This has resulted in substantial savings, but of greater importance, laboratory analysis has shown that engine wear has been reduced to almost nothing. The savings in oil cost is just an added bonus, extending the engine life is of greatest importance. I would encourage installing a Gulf Coast Bypass Oil Filter on any Motor Home, no matter how long the owner expects to keep it. 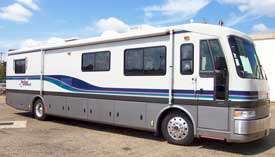 The filter can easily be moved to the next Motor Home when a new one is purchased. A Gulf Coast Bypass Oil Filter was installed on my 1996 American Eagle when I bought it in 2000. It had 44,000 miles on the engine. Since then, the Eagle has run another 47,000 miles. A resent laboratory analysis reported almost no wear elements, indicating almost no wear in those 47,000 miles. 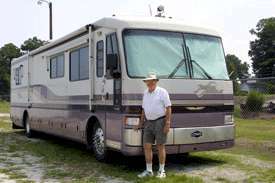 Bobby Mathieu purchased the Gulf Coast Oil Filter for his American Eagle Motorhome as a test to see how effective it could be. 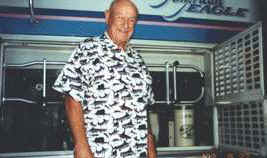 About 1 year later he was so pleased with the results he outfitted the Gulf Coast Oil Filters on his fleet of service trucks.